New York. Avon. 2001. First Edition. Paperback. Good. Edgewear. Pages yellowing. 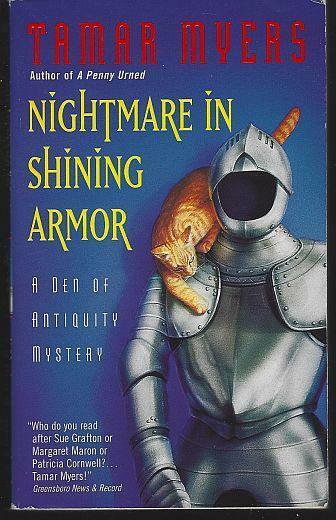 After a fire ruins her costume party, Den of Antiquity proprietress Abigail Timberlake is shocked to discover the body of her ex-husband's new wife, Tweetie Timberlake, stuffed into a suit of armor, and she must race against time to catch a killer before she becomes the next victim. A Den of Antiquity Mystery Vol. 8. 277 pages. New York. Avon. 2004. First Edition. Paperback. Very Good. Edgewear. 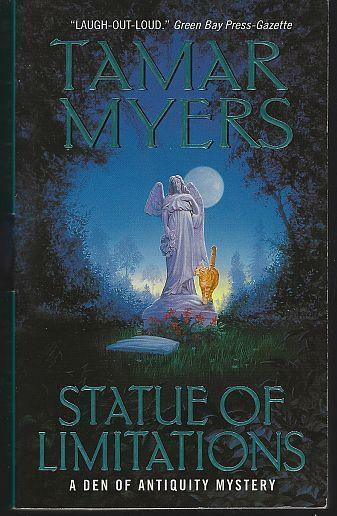 Abigail Timberlake Washburn, the proprietor of Charleston's Den of Antiquity antiques shop, is called in to assist her estranged best friend Wynnell Crawford, who has been accused of bashing in the head of the owner of a local bed-and-breakfast with a tacky replica of Michaelangelo's statue of David. A Den of Antiquity Mystery Vol. 11. 356 pages. New York. Avon. 2005. First Edition. Paperback. Very Good. Edgewear. Charleston antiques dealer Abigail Timberlake Washburn is baffled when a birdnapper abducts her recently acquired pet, a talking mynah named Monet, and demands a priceless Claude Monet painting as ransom, but the case takes a bizarre turn when the thief decides to kidnap her mother Mozella, as well. A Den of Antiquity Mystery Vol. 12. 325 pages. 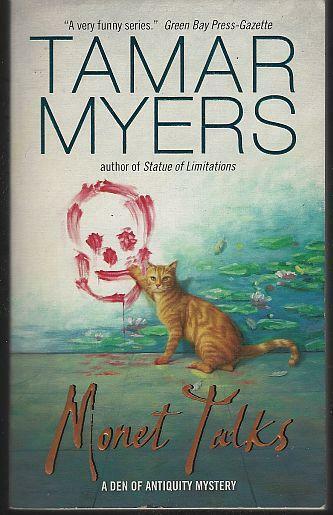 Items Similar To "Lot of Three Den of Antiquity Cozy Mysteries by Tamar Myers Monet..."